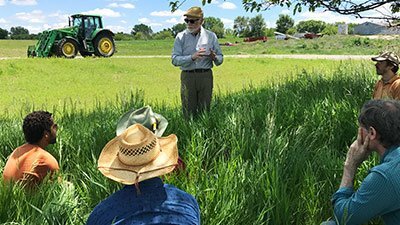 Maharishi University in Fairfield, Iowa offers an accredited Bachelors program and a non-credit Certificate in Regenerative Agriculture. In our BA, you’ll learn to grow healthy food that sustains our planet. You’ll study permaculture, soil ecology and more with experts in the field, connecting each topic to your deepest self. We’ll teach you how to work with nature, not against it. You’ll study natural agricultural techniques that grow healthy food at no cost to our planet. Our program combines natural agricultural methods with science to teach totally renewable and practical farming techniques. You’ll set up your own farm system and be selling your own produce locally before graduation. Practical farm management skills & more. Our program goes beyond agriculture, too—you’ll have the opportunity to study writing, journalism, environmental advocacy, sustainable community development and more in small classes with experts in the field. Our classes go beyond sustainability and ground students in a regenerative systems approach to organic and biodynamic agriculture. 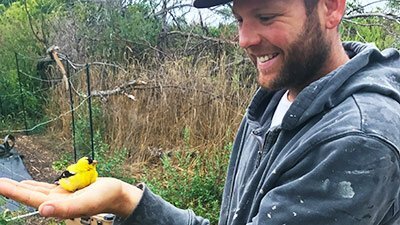 You’ll do more than learn agricultural techniques—you’ll study writing, journalism, environmental advocacy, sustainable community development and more. Our classes combine traditional knowledge systems with modern science to teach completely renewable and environmentally-friendly agricultural techniques.